In his book, “God, If You’re Not Up There, I’m F***ed”, Darrell Hammond, one of Saturday Night Live’s most popular cast members, has revealed vicious abuse that led to years of drug and alcohol problems. As well as verbal abuse, Darrell Hammond says he was regularly stabbed, beaten and subjected to electric shocks as a young boy. 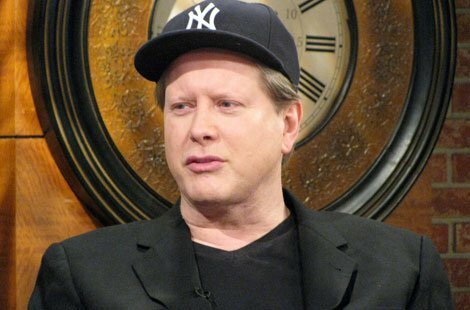 Darrell Hammond talks of the brutality he suffered at the hands of his mother, Margaret. “I am three or four years old, and my mother is holding me close to her with one arm. In her free hand she holds a serrated steak knife. “Slowly, she sticks it into the center of my tongue, making an incision about one-quarter inch to one-half inch long. It is quiet except for the sound of the hibiscus bush thump-thumping against the kitchen window. I do not struggle or cry. Somehow I know that to do so will make it worse. The kitchen floor is red with my blood. Those moments led to deep psychological scarring that later led Darrell Hammond to self-harm as a young adult – and, ultimately, a dependence on alcohol and cocaine. And Darrell Hammond maintains that, as his popularity grew while starring on SNL, his self-harm and substance abuse increased to keep out painful memories and cope with his fame. At one point, after a performance in the NBC building where the show is recorded, Darrell Hammond was taken away in a straitjacket. Darrell Hammond spent time in psychiatric institutions and psych wards, where he was prescribed “as many as seven medications at one time”. Darrell Hammond did not see his mother again until just before her death. His father died soon after. Despite his problems, Darrell Hammond was the longest-running performer on the show until his retirement in 2009, and he told the New York Post last month that he had a deep respect for many of his former co-stars, who include Will Ferrell, Tina Fey and Kristen Wiig. And he suggested that the culture of the show, and the view of its producer Lorne Michaels, was that personal issues may be overlooked if they didn’t directly affect the performances.